« The digital adaptation of Mysterium is finally here! Will you be the Master Builder of Yamataï? Prepare your strategy, recruit specialists, and do whatever is necessary to become the best builder and be rewarded by Queen Himiko for your work. Designed by Bruno Cathala and Marc Paquien ; beautifully illustrated by Jérémie Fleury ; discover our new board game: Yamataï! As befitting a Days of Wonder game, the rules are straightforward and easy to learn but the paths leading to victory are numerous. 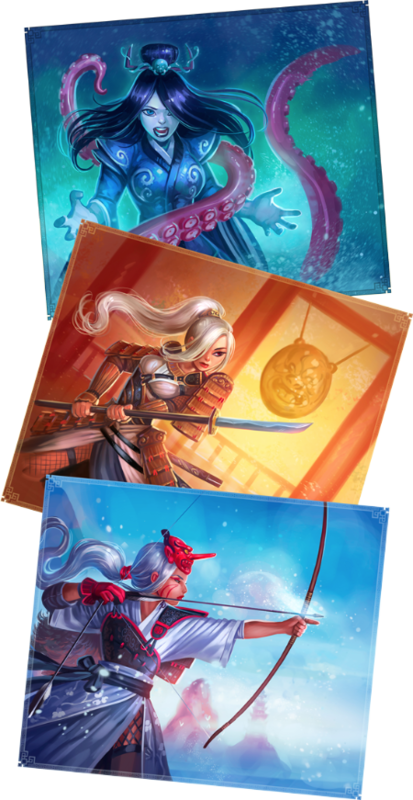 The players will have to carefully observe each other’s actions to become the Master Builder of Yamataï. Yamataï is for 2 to 4 players, ages 13 and up. A game lasts from 40 to 80 minutes. The box includes 1 lavishly illustrated game board, 4 player mats with meeples, 80 wooden boats carrying resources (bamboo, wood; stone, clay, gold), 10 Fleet Tiles, 28 Building Tiles (21 Standard Buildings, and 7 Prestige Buildings represented with wooden figures), 7 Mountain Tiles, 34 Culture Tokens, 8 Sacred Ground tokens, 73 Coins, 24 Prestige Point Tokens and 18 Specialist Tiles. 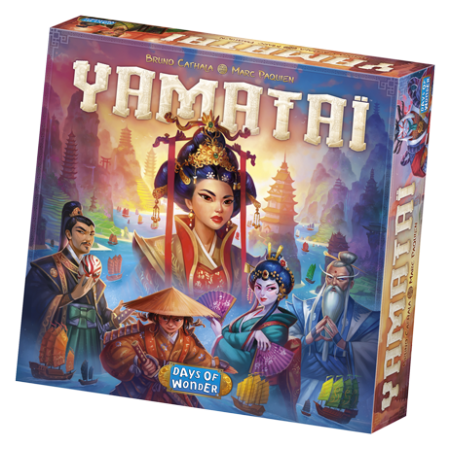 Yamataï is expected to be available in Europe in March and in the US in May, at a suggested retail price of €54/$60. For more information and to download the rules, you can visit the Yamataï website. This entry was posted on Tuesday, January 17th, 2017 at 15:14 and is filed under Big Adventure Games, Games, News. You can follow any responses to this entry through the RSS 2.0 feed. Both comments and pings are currently closed.